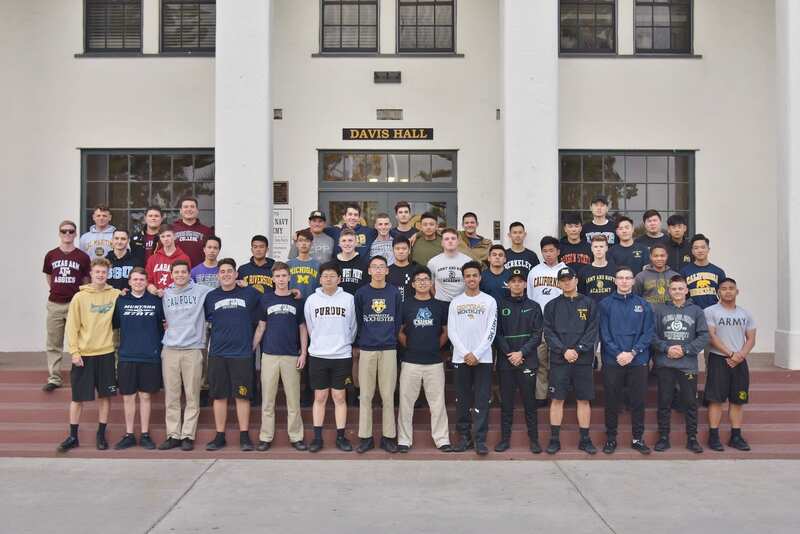 The Class of 2018 boasts matriculation to renowned institutions such as: UC Berkeley, Georgetown University, UCLA, University of Michigan, University of San Diego, and Cal Maritime. As our graduates head off to prestigious colleges, universities, and service academies, they move into the world with a greater sense of identity, purpose, and moral grounding. With acquired life skills such as: independence, resiliency, responsibility, and a firm understanding of the principles and practices of leadership, we are proud to be invested in the education and training of tomorrow’s leaders. The Counseling Office’s goal is to keep you informed as your son moves through the college application process. This information, along with other important documents and links, can be found in Naviance. We encourage you to visit Naviance frequently to review the list and other factors that will help you and your son determine the college that's best for him. The college application process has become increasingly complicated and stressful in the last several years as more and more students are applying. Therefore, it is imperative that high school juniors begin the initial college search process in the later part of their junior year and the summer before their senior year. The keys to successfully applying to colleges are organization and follow-through. To help our Cadets in these key areas, we hold several presentations for both Cadets and Parents. Last year, we held a college weekend seminar workshop for our seniors in the fall that was a huge success. Cadets reported that they felt supported while completing their applications due to this workshop and support of their Counselors and teachers. We look forward to continuing to provide your son with opportunities to help him through the college application process and in determining a best fit college and/or career.